Guess, how often I´ve answered the question “Hendrik, how have you heard about Growth Hacking the first time?” 10, 20, 50, 100, 1000 or 10.000 times? Honestly, I have no idea. Just a few days ago, I answered the question 3 times, while standing at the coffee machine on a Growth Hacking coaching day for an corporate accelerator program in Düsseldorf. Today, about 4 years later, I’m a long way off. So much further that I understand the original definition of Growth Hacking Daddy Sean Ellis, who invented the term officially, much better..
„A Growth Hacker is a person whose true North is Growth“ – Sean Ellis. Now, lay back and imagine…I am pretty sure that you will immediately come up with a colleague whom you have often wondered what he or she is doing in this moment or has achieved the last week. You might even think of several colleagues immediately, right? Too many people and tasks around, you have no clue if it is worth it to have them in the team, right? Is there a task that you have done or might have done in the last 2 months, you may have been wondering all the time what impact that might have on your company’s growth? By the way, these questions are not only common in big companies and corporations with hundreds or thousands of employees. The same goes for the majority of startups. Here, for example, hundreds of e-mails are sent out without measuring how many users they really achieved or knowing how much revenue was generated with them. Maybe the should have invested this time in something completely different? Who knows…Just a few examples. Means, the big challenge for startup founders or executives in large companies is to steer everything – really everything – in the right direction, in the direction of “growth”. And that’s exactly where Growth Hacking can help! Growth – means growing something, or increasing the value of something. In terms of business models or startups, the steady growth of the number of users, as well as the turnover or the profit margin is meant. Hacking – “To hack into a system” means penetrating into a system. At first glance, nothing incredible, right? But in combination with “Growth”. It is important to understand that a Growth hacker always follows a specific goal. In order to achieve this goal he has to try countless ideas, methods and helpful tools on countless target objects. A Growth hacker does not have to stick to given processes or rules. Rather, he also has to regularly think very creatively to achieve his goal. Experience, know-how, endurance and creativity are essential skills there. A Growth Hacker is a master in Trial and Error. Ok, so far the basics, but “unfortunately” questioned over and over again. This could also be due to the fact that Growth hacking itself has no “traction” in Germany. Why do I know that? Quite simply, because in 2017 I was allowed to coach around 900 participants in Growth Hacking. Of all attendees, about 30% had never heard of the term “growth hacking” before. Approximately 50% already knew it and said something like “creative and free online marketing hacks from the startup world”. The remaining approx. 20% knew that the disciplines “tracking, automation and the right user targeting” are also very important for a successful Growth Hacking environment. Last summer an interview was published in a German business newspaper. To my surprise, the journalist had chosen this quote as the title: “To burn or not to burn for a special topic, you can not learn that!” I meant with that, that a Growth hacker with a clear goal, the motivation for constant optimization and the skill to execute ideas in high-speed can´t loose in the long-term. Looking back, my initial Growth idea for my personal brand was to organize a Growth Hacking Bootcamp every month in another German city. In total, we have successfully completed 10 bootcamps in the cities of Cologne (3x), Düsseldorf (2x), Frankfurt, Munich, Berlin, Hamburg and Stuttgart in the last 11 months. 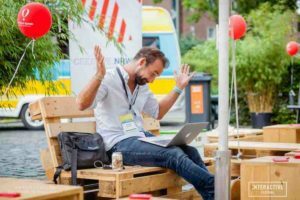 These bootcamps are not a good cash cow for the Growth Hacking Academy, but a very useful method to spread the Growth Hacking idea around Germany. Moreover, an useful tool heat up the Growth Hacking Spirit to as many willing Growth Hackers as possible. But very exhausting to do this alone, honestly. I can not do it alone. I need a community of Growth hackers to get “traction” on our favorite topic in Europe, finally. A community of Growth Hackers in Germany alone will not be big and strong enough to be interesting for the US. That must be at least Europe. So this year I plan my bootcamps also internationally. No problem. 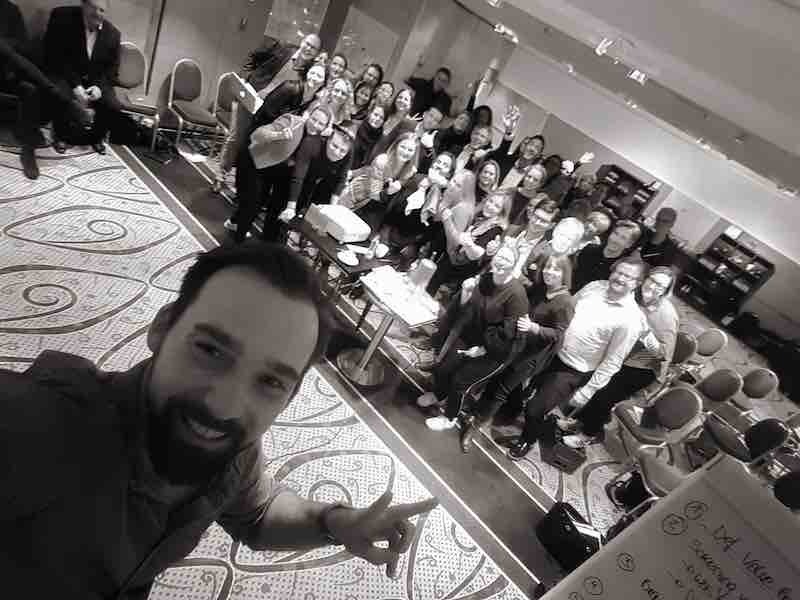 The 1st Growth Hacking Bootcamp in Vienna in January was sold out completely and therefore a huge success. So happy! In addition to the major German cities in 2018 Zurich, Amsterdam, Paris and yet another international bootcamp will be added. In parallel, I will have my book translated into English…So far my idea list. Pretty much Gary Vaynerchuk Hustle, right? And then I got it! To be honest, I was inspired by my personal growth hacker champion Neil Patel. He regularly hosts online summits in the US, with himself or with top speakers who simply stream their sessions from their office, across the web, into the world. And attendees can just as easily attend from home or office. That’s cool. That’s innovative. That’s scalable. That fits perfectly with the Growth Hacker Image, right? I knew that I had to take the decision until the end of the first January week 2018. Because time went by. Is it worth it? What is the goal? Do I need support? What kind of support? Do people want to attend an 100% online conference? What about the technical points of providing 25 video streams online? Questions, questions, questions … I pitched the idea to some colleagues and I remember that except for Andreas Graap and my Event Manager professional Victoria, nobody said that a online conference would be cool. Mmh, that made me thinking…a few days. Finally, we are Growth Hackers and used to be excellent in “Just do it”, right? We have to figure out if good ideas are good ideas or they will drive us crazy forever, as they will always feel like a missed opportunity. In addition, I’m just a stubborn “Kölsche Jung” – (everybody who has to know what it means, will know), who knows what he wants and wants to move forward. 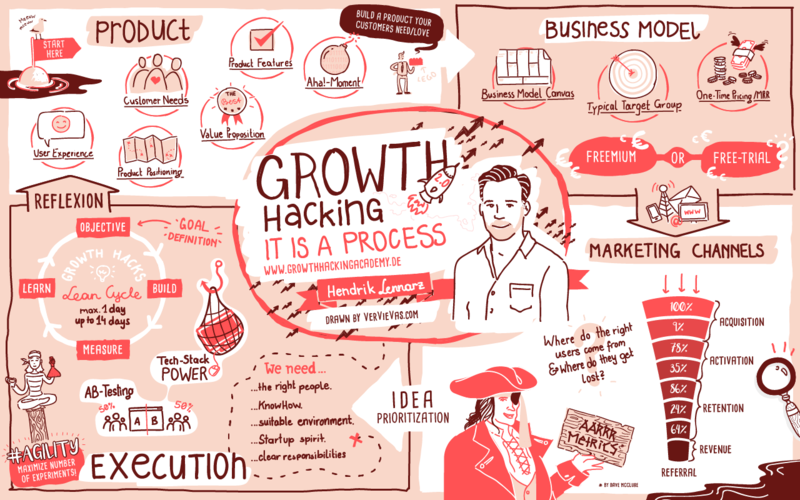 I´m so happy that I found this whole Growth Hacking thing….I love it. I think I can talk much more enthusiastically about Growth hacking nowadays than about the success or failure of my favorite soccer club 1. FC Köln. As a “kölsche Jung” that is a pretty good sign, believe in me. It´s the “burning”, you remember? I’m driven by the idea of ​​having to give it a try. On January 5th, I started the project Growth Europe Summit 2018 with my small project team consisting of Victoria and David. And just 1,5 month later, we can be very proud, already. 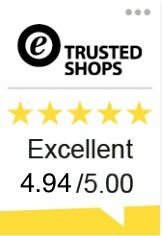 We have received very cool feedbacks and already more than 200 applications from everywhere, without having started the “real” marketing part. Yeahh! What is the Growth Europe Summit and why you have to join? 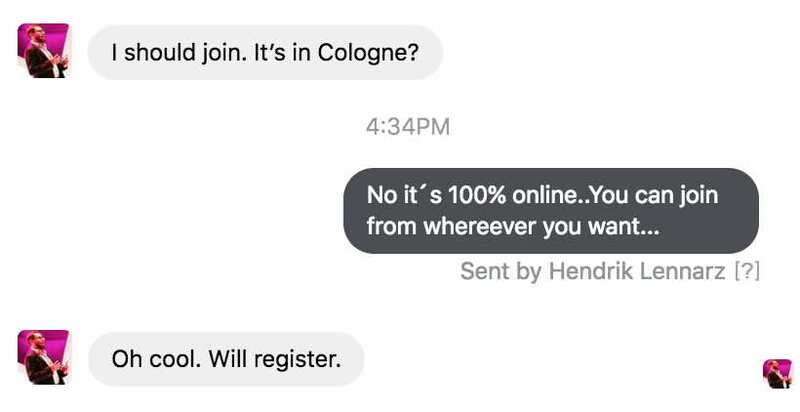 I’m so excited about this international mix, as most online marketing, SEO or startup conferences are, in my opinion, mostly targeting only people from Germany. Means for us, all sessions will be held in English, for sure. We want to conquer Europe! The event will be exclusively online. Means, you can participate in every single session from where you want – from home, from your office or from the beach. What you need is only a connected device like your computer, smartphone or tablet. Simple, right? Thus, you save you also a day vacation and annoying travel expense reimbursement you have to submit to your employer ;-). 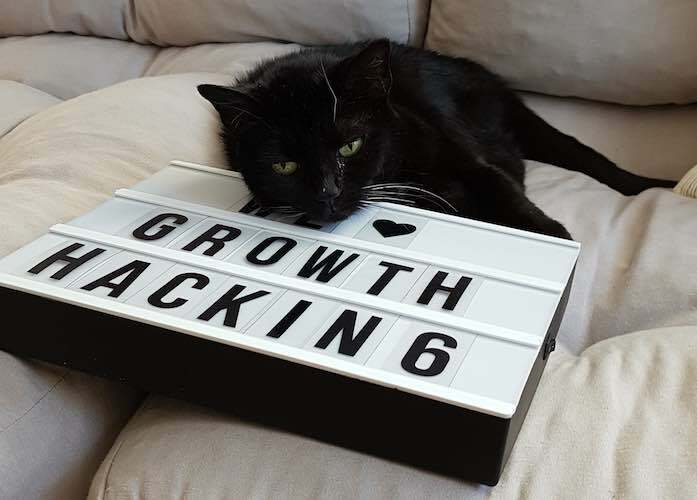 From May 14 to May 18, 2018 – a full week overdose of Growth hacking. All 25 sessions will be scheduled from Monday morning at 10:00am to Friday afternoon at 5:00pm. We are still working on this event plan at the moment and will, of course, send it to you up-to-date by e-mail. Of course, you can also watch missed sessions afterwards.